Destiny Littleton set the California scoring record in January but never took her foot off the gas. 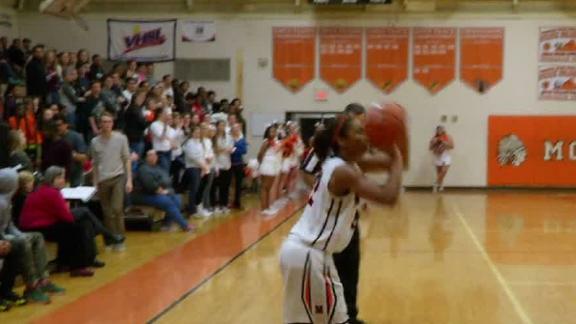 Shaking free of two defenders, Destiny Littleton caught the ball near half court. The 5-foot-9 senior guard bolted hard to the middle of the key. She slipped past another defender, then one more, but as the two girls recovered and swarmed her, a jump shot seemed all the more improbable. Littleton was running out of space, and if she waited any longer, she might have had three hands in her face. But this is Littleton -- not one to take no for an answer. 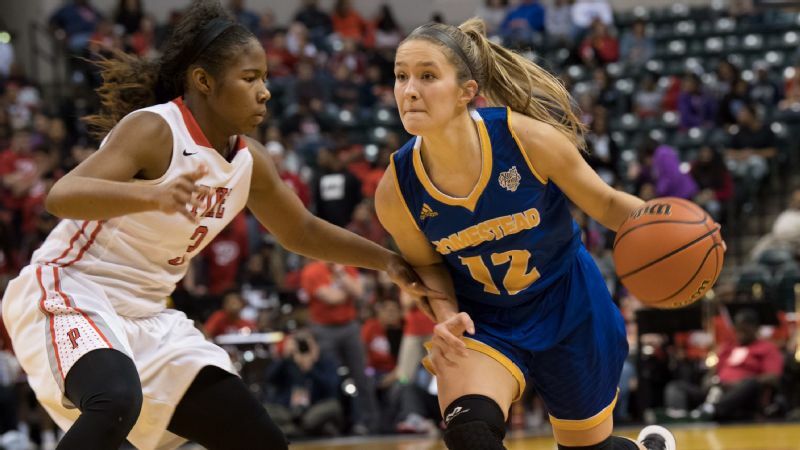 She muscled her way through contact to sink an and-one fadeaway jumper; a bank shot, at that. 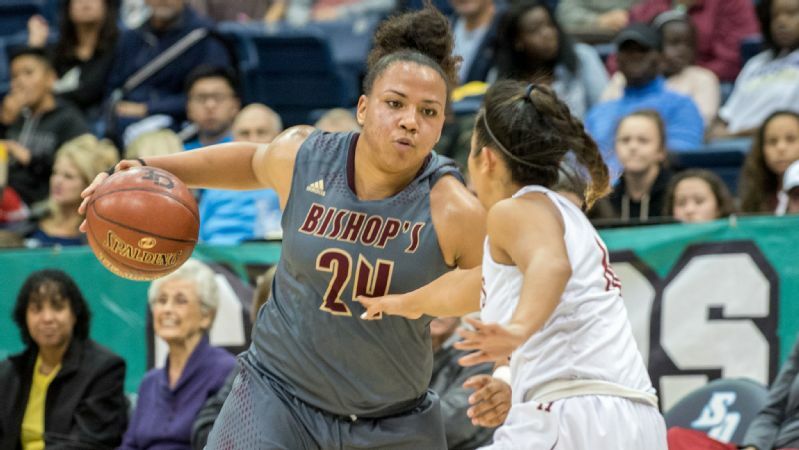 Her team, The Bishop's School (La Jolla, California), would go on to beat rival La Jolla Country Day School 58-57 in the CIF San Diego Section Open Division semifinals. "Every time I get the ball, I'm always thinking: 'Score first, always look at the basket.' There's nothing else that comes to my mind besides, 'Score,'" said Littleton, who was recently named the 2016-17 California Gatorade Girl's Basketball Player of the Year, the first player from San Diego to earn the award in 30 years. She will also play in the McDonald's All American game, March 29 at the United Center in Chicago. The game will be televised on ESPN2 at 5 p.m. ET. College coaches will be keeping a keen eye. And plotting. "Scoring is what I pride myself on," Littleton said. "I spent hours and hours in the gym working on my shot." Littleton, who scored 27 points that night against LJCD, tore through the record books this season. 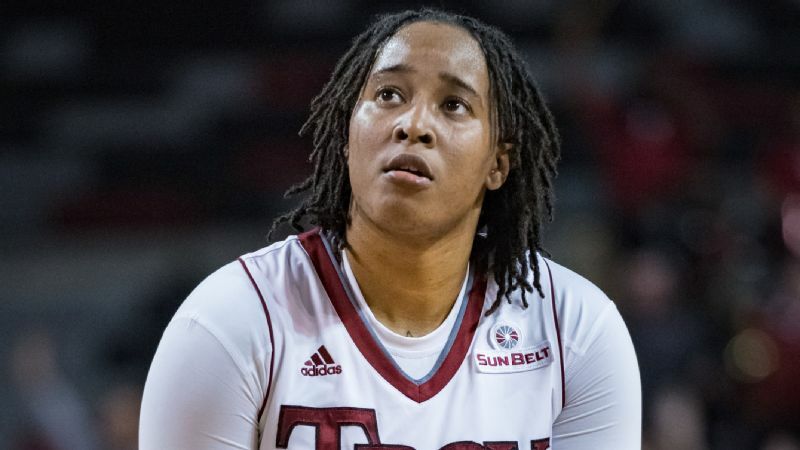 She became California's all-time leading scorer with 4,300 career points, beating out legends like Cheryl Miller, Diana Taurasi, Lisa Leslie, Candice Wiggins and Charde Houston. 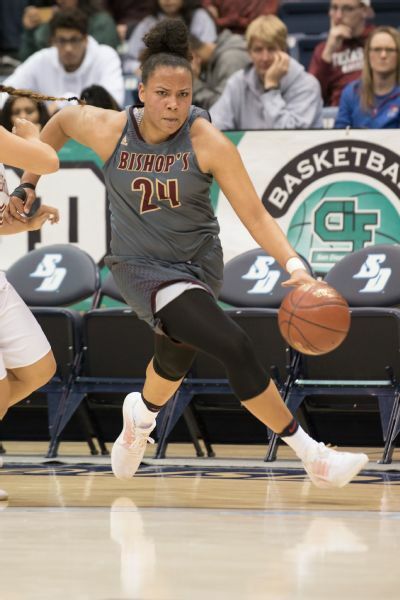 Adding the 3-point shot to her game, she averaged 42.7 points, 10.9 rebounds, 5.0 assists and 3.4 steals a night for Bishop's, which fell to Clovis West in the CIF Open Division semifinals. She dropped 68 (Mira Mesa), 65 (University City), 61 (Horizon Christian Academy), plus nine 50-point outings, hounded by double and triple teams and oftentimes sitting out the fourth quarter. "It's amazing. We kind of just got used to it," said Alessandra Aguirre, senior 3-point threat for Bishop's. "Like, 'Oh yeah, she's scoring 60. That's just Destiny. She's going in.'" Few knew that Littleton torched the Golden State while battling a fractured right big toe, a sprained left foot, sprained right and left ankles and sprained right and left wrists. She was so banged up she couldn't practice for the last month and a half of the season. But come game time? She willed herself to flick her wrist, and the ball continued to spin and go in -- pain be damned. Littleton regarded her injuries as a challenge to overcome, like another overzealous defender trying to steal the lane she sought. "She battled," said Marlon Wells, Bishop's coach. "One thing we say is, 'No excuse, just produce.' Her mental toughness is by far one of her biggest attributes because she's a winner. She's a fighter. She wants to be out there for her teammates so she's going to play through stuff." Destiny Littleton says USC is still her No. 1 option, but there are others in the running. "It got to the point where she wasn't going to tell me if she was hurting or not. She'll just play through it." Then she took another blow. Littleton had signed with Southern California last November, but on March 3, Trojans coach Cynthia Cooper-Dyke resigned after four seasons with the program. Littleton was in class when she received a text message from Wells with the news. She thought he was joking. "There's just no way," she thought. "It's not possible." Littleton was devastated. 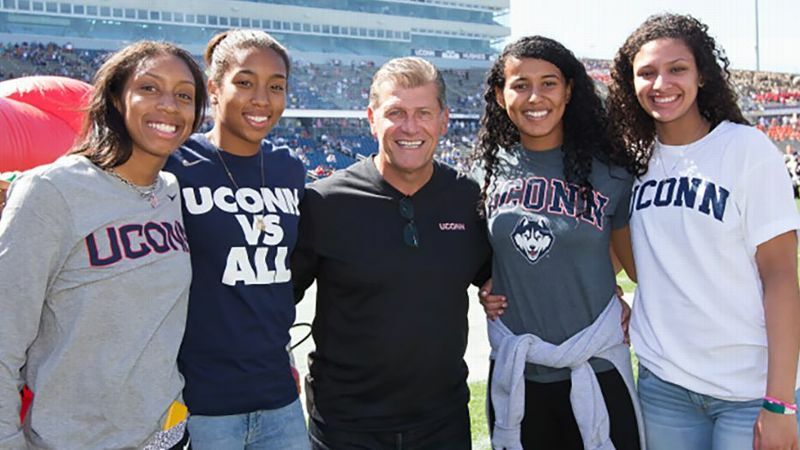 She had built a strong relationship with Cooper-Dyke throughout the recruiting process. Now what? USC was her dream school. She decided to reopen her recruitment. Littleton said USC is still her No. 1 option, as she is waiting to see who the Trojans hire. 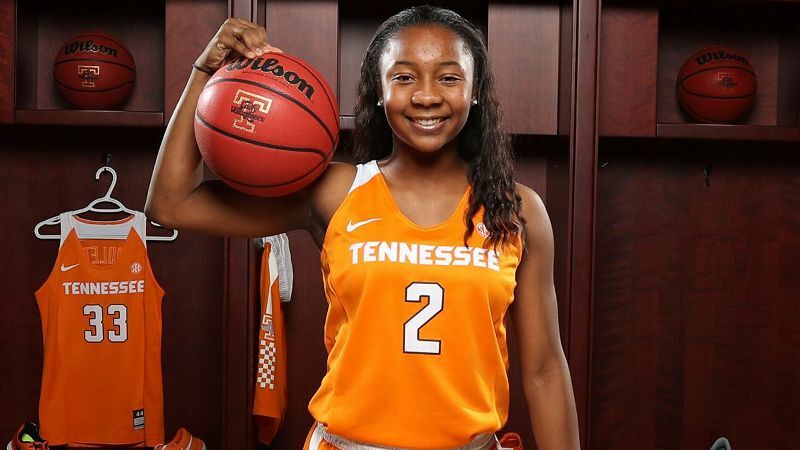 But she is in talks with other schools, including Texas, Tennessee, Washington, Arizona State, Oregon, Cal and more. The sharpshooter is forcing herself to take a few days off to rest, but not for long. 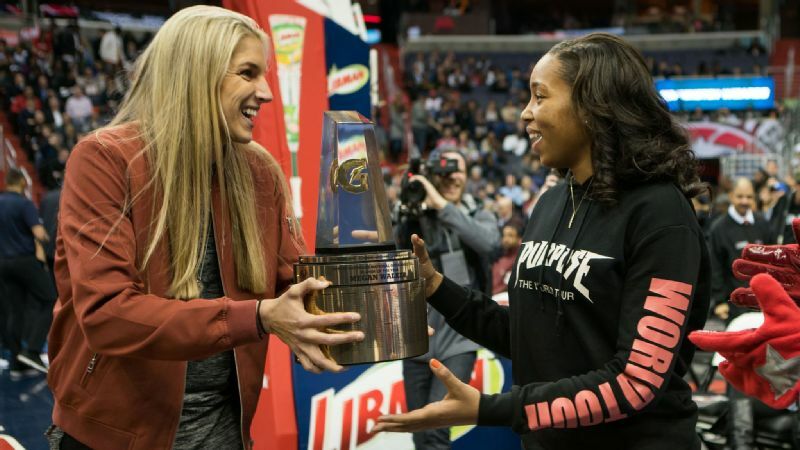 She's already eyeing her next goal: MVP of the McDonald's game and a win for the West. 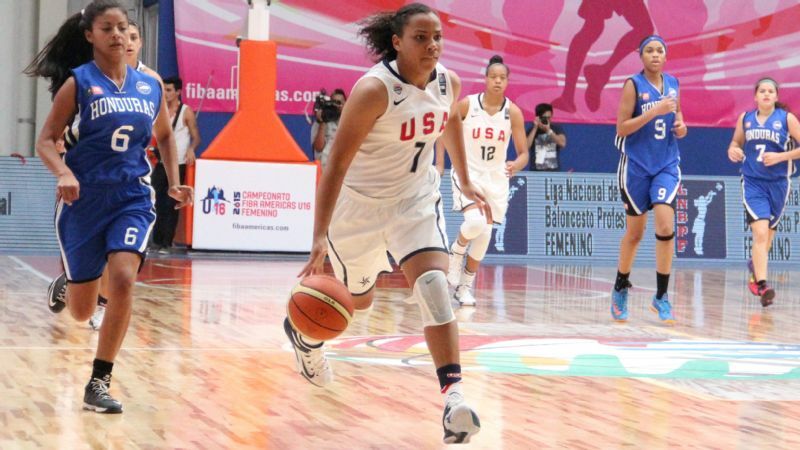 "I'm definitely excited to be on the floor with a whole bunch of other great All-Americans. It's going to be a lot of fun," Littleton said. "The West Coast really doesn't get a lot of acknowledgment when it comes to basketball, especially San Diego. We're never recognized. "Being able to come out of San Diego, where I was born and raised, it just shows San Diego and our basketball players that it's definitely possible ... I'm putting on for my city and for my family."